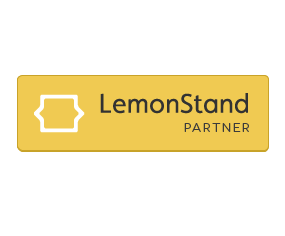 LemonStand is an eCommerce platform for entrepreneurs that are challenging the status quo. These entrepreneurs need a flexible platform that can be highly customized to support their vision whether it includes a unique interactive design, digital products, subscriptions or something else. These entrepreneurs are on a mission to stand out and grow quickly, and regular off-the-shelf platforms can’t be taken far enough. They need customization over the entire shopping experience, including the checkout, and the ability to optimize the sales funnel using modern analytics and A/B testing tools. That’s where LemonStand shines. Platforms like Shopify are built for stores who want something basic and off the shelf. They slap on a theme and change some colors and they have a new store. But for entrepreneurs who are going against the status quo and disrupting their market, they need complete customization and LemonStand is where they go for that. They can customize every single aspect of their shopping experience, including the checkout design. Even content management features are included, so brands can create engaging and beautiful content outside beyond the product catalog. Many other platforms have a low base price to make it look like they are cheap, but they add on transaction fees for every sale, so stores that earn a lot end up paying more. We've had customers move over from Shopify for just this reason alone. LemonStand’s pricing is a fair, flat rate every month, and is compatible with retailers selling millions of dollars per year. We’ve heard so many complaints from developers about how other platforms are really hard to customize. We use Twig which makes it easy for developers to create dynamic and custom eCommerce websites. A robust API is also offered across all pricing plans, for developers to create custom apps and integrations. Plus we have a bunch of developer tools to speed up their workflow. We’re not just talking about the title tags and meta fields that every platform allows you to enter. I'm talking about other ranking factors, like full-site SSL, built-in mobile friendliness (responsive), and even the ability to customize URLs for your keywords. The URL customization is also another example of how thoroughly customizable LemonStand is. Platforms like Shopify auto-generate unfriendly URLs like store.com/collections/frontpage/products/keywords which push your keywords to the end and screw up your SEO. And you can't change them. Platforms like Shopify redirect to their own domains which means the retailer loses all control over the site from that point on, which is ridiculous because that's where customers are most likely to abandon the cart. Shopify forces the same checkout on every store, and retailers can't customize it to add conversion boosting elements like trust symbols, chat boxes, contact details, and so many more. LemonStand comes built with features that allow retailers to optimize for conversions. You can drop in tracking scripts, conversion pixels, and anything else you need. You implement tools to create popups, exit offers, landing pages, and so much more. You can run A/B tests using tools like Optimizely, and you can track which tests lead to higher revenue, which you can't do on platforms like Shopify because, guess what, that checkout redirect doesn't allow you to. You'll find so many people complaining about how they waste time on Shopify's support forums and all they get is a "We don’t have that feature because we don’t think you need it” or "it doesn't happen to any of our other 100k stores". We don't have support forums. You email us, we'll respond immediately. You call us, we'll pick up and walk you through the solution. We've even built features specifically because customers called up and offered feedback that we realized would make our customers lives easier. We don’t just provide support; we are your partner. That's not something you will get with any other platform. All core features that every eCommerce business needs come as part of LemonStand. You don't need to pay extra and buy them on an App store. Want to sell digital products? It's built in. Need live shipping rates from UPS? Built in, available on all plans. Want to sell subscriptions? Built in. Custom fields? Volume-based pricing? Extra tabs? All built in.